STP file is to reduce the amount of words that are indexed into your help file. 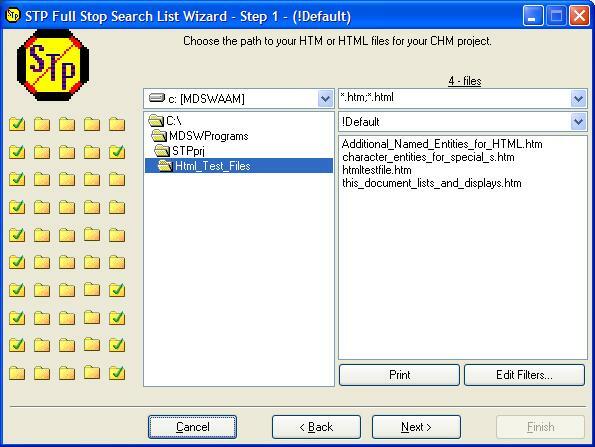 A stop list decreases the size of the full-text search index, which results in a smaller compiled help (.chm) file because fewer words are indexed. This is especially important if you have a large documentation set. All words in the stop list are omitted from the search. These are usually commonly occurring words or numbers, such as "the," "and," or "1" that a user is unlikely to search for.